WHAT’S THE DEAL WITH STATUS CERTIFICATES? 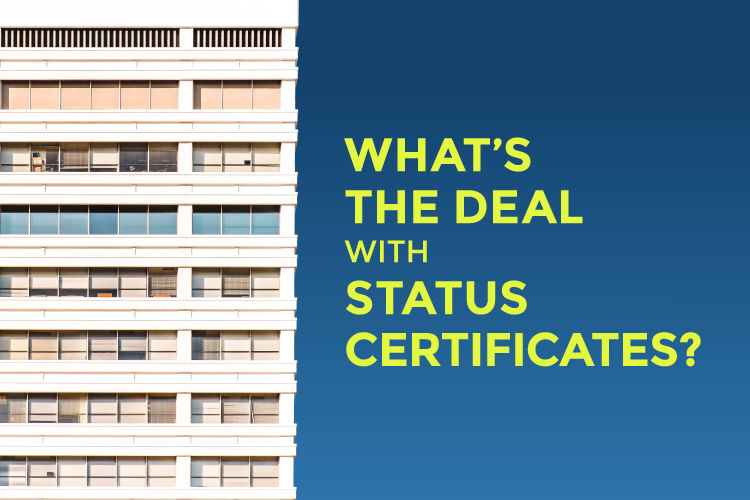 A status certificate is like a home inspection for your condo and provides an in-depth review of your future home’s general health, from policies to financial statements. Here’s why this condition is so important. When you’re buying or selling a resale condo, reviewing a condo’s status certificate is the name of the game. Not all that different from a home inspection, a status certificate will provide an in-depth overview of a condo building’s management policies, financial statements, the general health of the building as well as any particulars for the individual condo unit. Many offers on condos are conditional upon reviewing the status certificate and we’re here to explain why this condition is so important. WHAT DOES THE STATUS CERTIFICATE COVER? …More like, what doesn’t it cover? Reviewing a condo’s status certificate is like looking at a person’s health records, credit score, and values all rolled into one — one long document, that is. The details it covers range from the names and addresses of the condo’s Board of Directors to the condo’s rules on pets. If you’re buying a resale condo, reviewing the financial statements of the condo building is top priority. There is a lot of legal jargon so ensure you have your real estate lawyer read it through and look for any red flags. What kind of red flags? Well, pay special attention to the condo’s reserve fund. All buildings are required to have a reserve fund as per the Condominium Act which acts as an emergency savings account for unexpected repairs and maintenance. A reserve fund study is commissioned every three years to determine what foreseeable repairs are needed, how much of the reserve fund will be used to cover them, and the projected timeline to complete them. 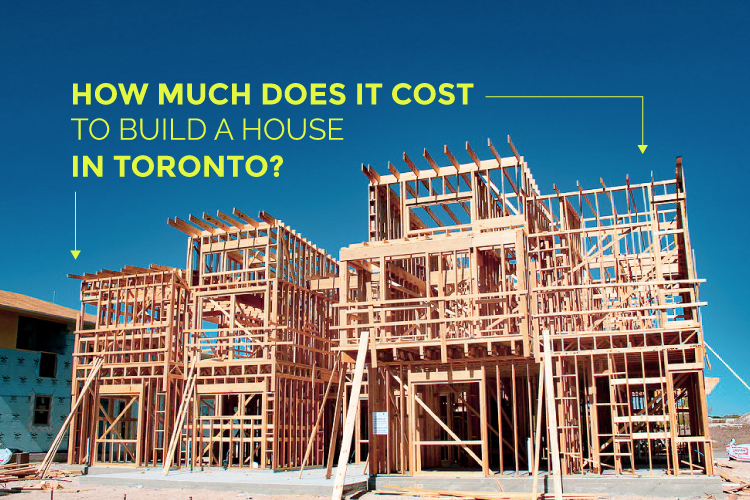 If the reserve fund is low, this could mean an increase in condo fees is in the near future. This is one red flag your real estate lawyer will look for. 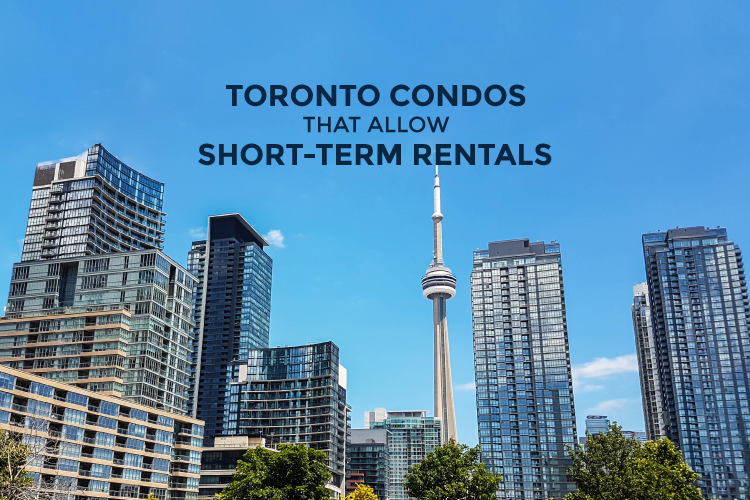 The status certificate will provide you with the condo’s financial statements so you can see how well your condo building is being managed financially. Furthermore, it will outline the building’s insurance policies, if there are any special assessments taking place, how many units are owner-occupied versus leased, and if the condo is involved in any lawsuits. Financials aside, the status certificate also includes the condo’s declaration. This outlines the general rules and policies of the condo building, its common spaces and amenities. 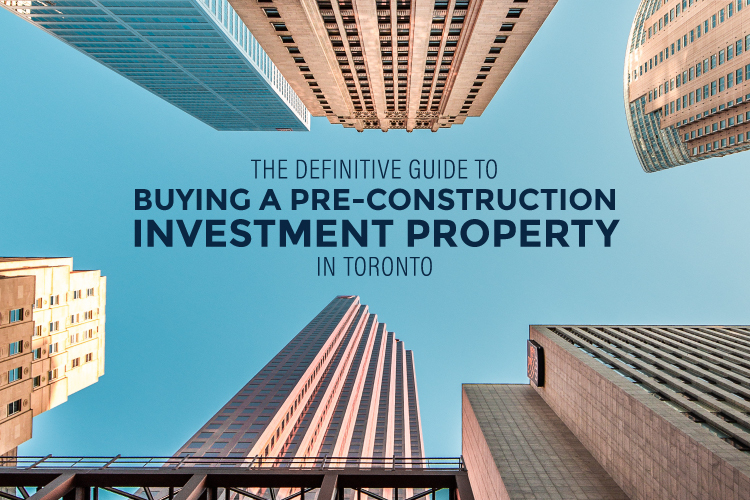 This section can help determine if the general operations of the condo suit your lifestyle. For instance, is the building pet-friendly building? Will they allow you to BBQ on your balcony or rent your unit on Airbnb when you’re out of town? These are definitely questions you’ll want answered so you don’t get stuck in a place that won’t let you fire up the BBQ with your dog Charlie by your side. HOW DO YOU GET A STATUS CERTIFICATE? A status certificate is, more often than not, provided by the seller of the condo and costs about $100. The seller can request it from the condo board or through a variety of websites that have a database of updated status certificates. A prospective buyer must be provided the status certificate within 10 days of requesting it. Once received, the buyer and their lawyer will usually have one to three days to review the status, depending on how the condition was written in the offer. While a status certificate is almost always requested with every offer, 99% of the time the status certificate is approved by the lawyer and the condition is waived to proceed with the sale. Just like a home inspection can reveal any hidden issues within a house, reviewing a condo’s status certificate is the best policy to ensure you’re not locked into a half-million dollar purchase only to find out they need to restore all of the balconies and don’t have enough money in the reserve fund to cover it. Like we said, status certificates are the name of the game so if you’re ready to make an offer, get your lawyer on the phone — it’s time to get down to business.